Princeton professor Bernard Haykel’s fascinating selection of books paints a worrying picture of a country at odds with the cultural riches of its past. With internal conflicts and poor governance, Al Qaeda is the least of its problems. Bernard Haykel is Professor of Near Eastern Studies at Princeton University. A specialist in Islamic law, politics and history, he is Director of The Institute for the Transregional Study of the Contemporary Middle East, North Africa and Central Asia and Director of the Princeton Project on Oil and Energy in the Middle East. People know very little about Yemen. News stories focus on bombings and kidnappings. In your choice of books, are you trying to portray a different picture? Absolutely. There’s a lot more to Yemen than terrorism. That focus distorts things and is quite dangerous. We’re led to believe the only way to deal with Yemen is to bomb it, occupy it militarily or throw money at it. I think of Yemen in very different terms. Culturally it’s the richest and most interesting country in Arabia. Most of the rainfall in Arabia falls on Yemen. Historically you had an agricultural tax base on which you could base a civilisation and a strong state. Culture flourished, as did the arts. Yemen connects to so much of the world: Yemenis inhabit many Indian-Ocean countries. They are scattered in Southeast Asia, South Asia, East Africa, the Gulf, and beyond. It’s also supposed to be incredibly beautiful, with a number of UNESCO World Heritage sites. It’s stunningly beautiful, because the mountain ranges trap the rain. These mountains are often terraced; they’re very green and have dramatic vistas. The Yemeni people are highly distinctive, too. In terms of food, costume, dress, and culture generally, they’re a mix of Arabs, Africans, Indians and Southeast Asians. They’re colourful, interesting and unique. 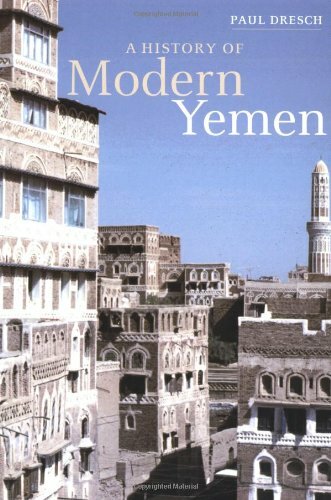 Let’s talk about the first book on your list: Paul Dresch’s A History of Modern Yemen. 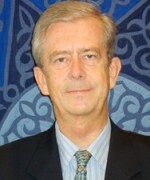 Paul Dresch is a pioneer and probably the greatest scholar on Yemeni tribal culture and history. He knew that to understand the phenomenon of tribes you had to dig into Yemen’s history and culture. These tribes arbitrated their differences through a group of scholars and judges who lived in enclaves considered sacred and off-limits to tribal warfare. Dresch shows how these tribes engage and interact with the state in pre-modern and modern times. It’s a very important book. Southern Yemen was ruled by communists from 1967 to 1990 – the only Marxist regime in Arabia and the Middle East. As an anthropologist, Dresch focuses on a particular incident, episode or anecdote and brings out a world of meaning and complexity. He helps you understand Yemeni society. He also highlights features of Yemeni culture, politics and tribalism in other places. It’s a good introduction to Yemen, viewed from the ground and from the anthropologist’s point of view. And it covers principally the 20th century? Yes. But he knows Yemeni history extremely well so it’s informed by pre-modern history. He looks at continuities as well as ruptures, placing these in a broader framework. He helps us understand what makes Yemen tick. 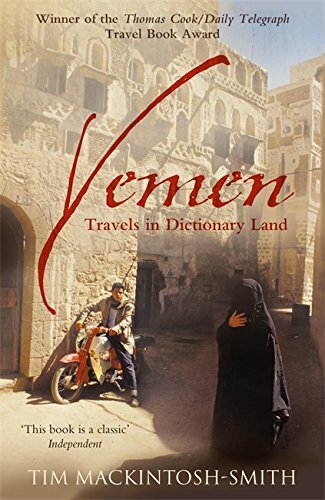 Is the book a good place to start if you don’t know much about Yemen? Its history is quite complicated. A better starting point is Tim Mackintosh-Smith’s Travels in Dictionary Land. 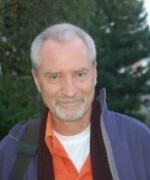 Tim is an interesting, eccentric and wonderfully erudite British man who has lived in Yemen for many years. He has mastered Arabic, both classical and colloquial, and he writes Yemeni and classical poetry. He has a remarkable feel and sensibility for Yemeni culture and aesthetics. Witty and funny, he picks out historical anecdotes, stories and poems that illuminate many aspects of Yemeni life. Do you get a sense of the politics and everything that has happened in the country when reading it? You learn how the country works politically. You also see how Yemenis interact with one another and how different everyone is. It’s a country of many distinctive cultures. For example, the coastal area by the Red Sea is very different to that facing the Indian Ocean. These contrast with the interior of the country, with its deserts, highlands, terraced agriculture and farming communities. The book brings out that variety. Why the title Travels in Dictionary Land? Yemen is, historically, an extremely literary country. It has a remarkable scholarly culture, brought out in the book. Are there any particular stories that stayed with you? There’s a great one about learning Arabic at Oxford, and a very funny section on how Arabic words have different meanings. It’s good at showing the complexity of the Arabic language: how it’s been used and manipulated. Let’s move on to A Tribal Order. 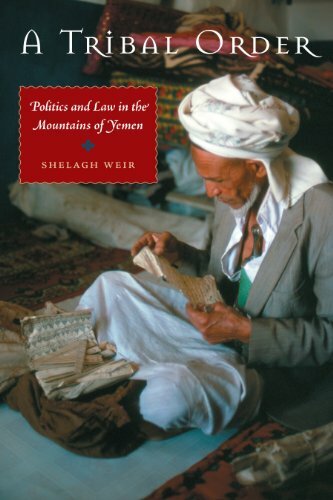 Shelagh Weir was one of the first anthropologists to work in Yemen after the civil war ended in 1970. A Tribal Order follows her fieldwork in a beautiful place called Razih. Rebellion and warfare have been rife since 2004. Weir examines the area’s historical archive of tribal records and documents. You see how Yemen structures itself from a sociological, political and cultural perspective. The stereotype is that tribes are warlike and lawless. Weir is trying to show they have stable structures of governance and can resolve disputes with minimal violence, isn’t she? That’s right. They have a highly complex legal order, with conventions and laws based on precedent. It shatters the stereotype of tribesmen as violent, cultureless, devoid of history or tradition. That comes out in Dresch’s book, too. Yet the area is in bad shape now. That’s because the overbearing state in Sana’a, its capital city, has undermined the structures she describes. Because the state has neglected the area and its traditional leadership, it has encouraged a resistance movement. You find these movements in other parts of Yemen: there’s a secessionist movement in the South. Al Qaeda, with its presence in Yemen, is taking advantage of the feeling of oppression and humiliation. Presumably, there’s a feeling that the US is helping finance this bad government? Al Qaeda certainly makes that case. The US and Saudi Arabia are helping the present government in Yemen financially, militarily and, to some extent, economically. There’s a story doing the rounds in Yemen about the nature of its government. The current president of Yemen is Ali Abdullah Saleh. The story goes that he teaches his son how to rule the country. He gives him a bagful of mice and says: ‘I’ll release the mice. You collect them and put them back in the bag.’ His son spends the entire night chasing mice and putting them back; he’s utterly exhausted. Saleh says: ‘Now I’ll show you how I rule Yemen and how you should rule Yemen.’ He twirls the bag around his head and lets the mice out. They’re dizzy and can’t run away. That’s essentially how he runs the country: by keeping everyone off-kilter. He doesn’t build institutions or run the place in an organised or transparent way. And because he’s made himself indispensable to stability in the country – others call it controlled chaos – there’s no solution or alternative. All good autocrats do this. They don’t allow you to think someone else could replace them. Indeed it is. The Americans and Saudis throw money at him in the hope he will keep the place together. But Yemen is on the verge of becoming like Somalia: you could have a civil war and large numbers of refugees. It’s running out of water and oil, rebellions are happening, and of course you have the presence of al Qaeda. You make it sound like al Qaeda is the least of its problems. It is. A complicating factor is that the president is not clearly against al Qaeda. He’s used al Qaeda against his own internal enemies. Let’s talk about Engseng Ho’s The Graves of Tarim. This is a fantastic book. It’s an anthropologist’s view, once again. It explores a particular group of Yemenis called the Sayyids, descendents of the prophet Mohammed. They come from the Hadramawt region, a beautiful green valley in the middle of a desert. That’s also where Osama bin Laden comes from, by the way. The book shows you how the Sayyids colonised the wider region: South Asia, Southeast Asia, East Africa, Somalia, Zanzibar, Tanzania and all the way down to Mozambique. They brought Islam with them. The Indian Ocean was really a Moslem commercial lake. This book is about this community, its ideology and culture. They sacralised their original homeland and it helped them maintain their identity wherever they went. This has gone on for at least 500 years. And they really keep in touch with people back home? They do. They send their children back home; they marry back home. Many obtain lucrative positions in Indonesia, Malaysia and East Africa and send money back. They’ve built beautiful houses in Hadramawt. Drive through this beautiful valley and you’ll see pastel-coloured mansions, clearly Indonesian in style. It’s the most amazing place and a remarkable community. It forged global connections before globalisation really happened. 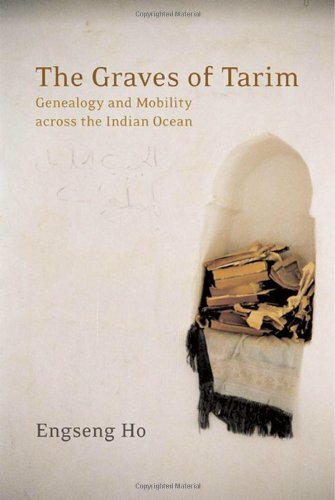 Why is the book called The Graves of Tarim? The ideology of the community centres on graves and ancestors. Tarim is the town in Hadramawt from where many come. Its graves are the epicentre for an identity and ideology. You said earlier that Osama bin Laden was from Yemen. No wonder al Qaeda has a presence there. Al Qaeda has always had a presence in Yemen. The first attack was in 1992, in Aden, against American troops en route to the relief effort in Somalia. Al Qaeda in the Arabian Peninsula is a group of Yemenis who allied with a group of Saudis. The Saudi members showed up because they were defeated militarily in their homeland. Al Qaeda has a longstanding presence in Yemen through marital and ancestral connections. Its members have taken advantage of those links and the protection offered through the tribal system. But there’s so much more to Yemen than al Qaeda. We’re talking about 300 or 400 people. To think of Yemen through the lens of al Qaeda is unfair on the remaining 24 million Yemenis. 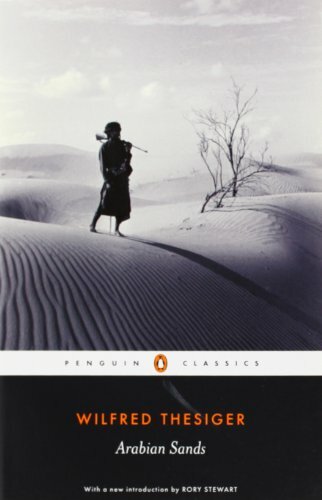 Your final choice is Wilfred Thesiger’s Arabian Sands. This is an older book and an unusual choice. I contracted malaria when I was in Yemen doing fieldwork. Between bouts of feverish hallucination, I read this book. It’s the authority on the Arabian Desert. He ventures into The Empty Quarter, one of the great deserts of the world. Arabia was an incredibly harsh place for human beings to live. Thesiger shows how Arabs, especially nomadic Arabs, were in tune with this ecology. They developed a culture that enabled them to survive. He shows the humanity of the Bedouin, otherwise thought to be savages. This concept of survival affords us an understanding of modern Arabia. The Yemeni tribes and the ostentatious wealth of the Gulf countries reflect a dramatic and sometimes obscene form of consumption. This wealth is very recent. The underlying culture in Arabia is one rooted in poverty and the memory of this tough ecology. Can you explain more why Thesiger’s book is so important for understanding the present? Arabian culture is steeped in a relationship to the pre-modern ecology of the peninsula. Cars, oil wells and modernity severed this relationship. The rupture is more dramatic than anywhere in the world. This explains a number of pathologies that are on display. It all happened so quickly. Thesiger was writing in the late 1940s and 50s. You met him. How did he feel about the changes that had taken place in Arabia? I met him several times at Magdalen College, Oxford. He was quite disappointed with modern Arabs because of this lost connection with the ecology, their camels and their past. His book is an important reminder of what Arabia was like until relatively recently.